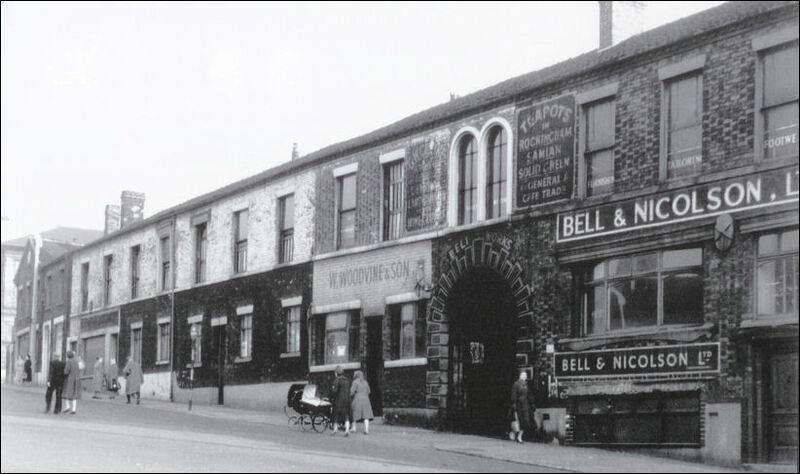 The earliest known occupant of the Bell Works at the junction of Albion Street and Broad Street was Warner Edwards (d. 1759), who produced lead-ore glazed ware and fine enamel decorations there; for a time Thomas Middleton, the curate of St. John's Church, Hanley, was a partner, though in secret. By the early 1790's the works was in the hands of Job and George Ridgway and remained in that family until the dissolution of W. Ridgway and Sons in 1854. In 1820 Joseph Clementson was apprenticed to J. & W. Ridgway. 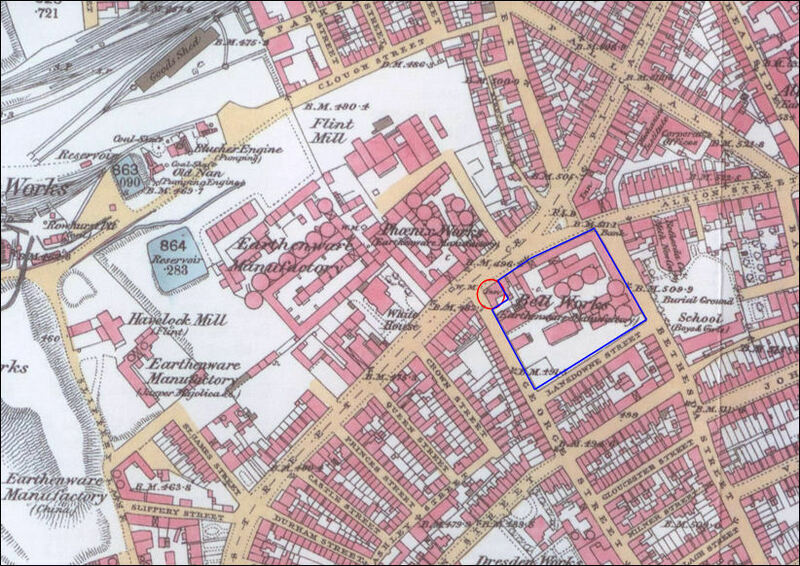 The Phoenix Works was established in 1832 by Jonah Reed and Joseph Clementson as Read & Clementson. 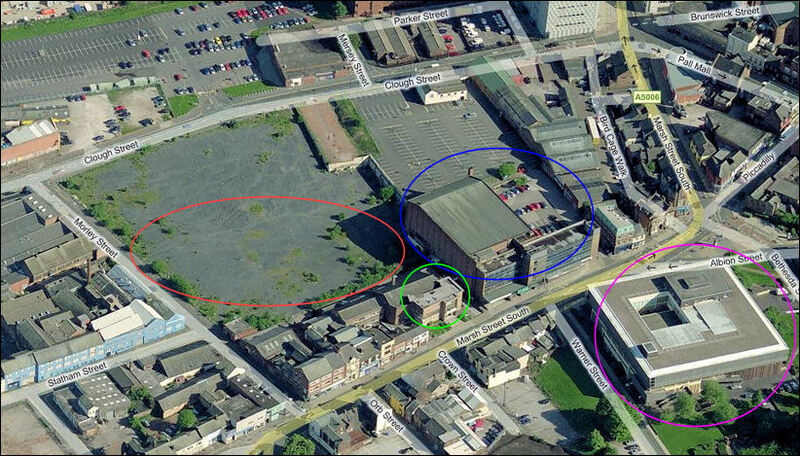 In 1856 Clementson purchased the Bell Works on the other side of the road to the Phoenix Works from the Ridgways. The Bell works was operated by the Clementson Bros. from 1867 until at least 1916. 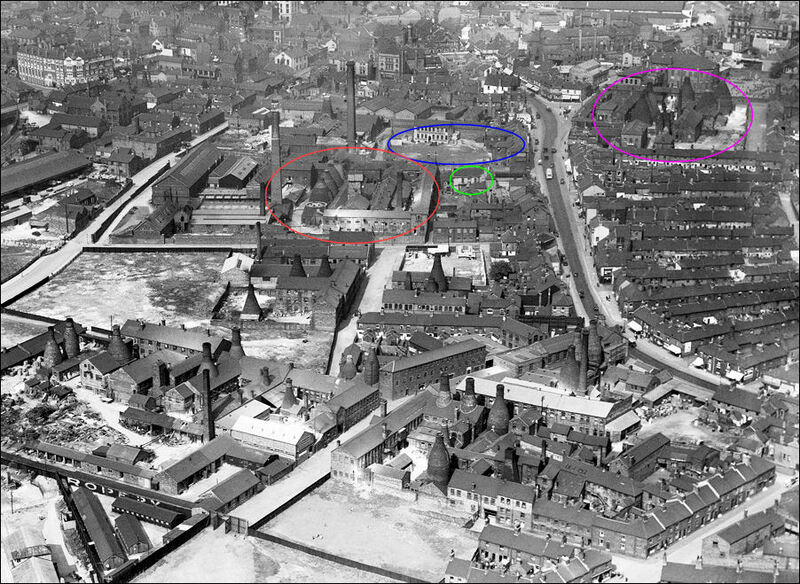 In 1907 George Marshal Creyke operated as a pottery decorator and 'metal mounter' in Marsh Street Hanley - he lived at Wetley Abbey, Cheddleton. By 1920 he was manufacturing pottery at the Bell Works and used his expertise as a metal mounter to produce a teapot with a non-drip metal spout. 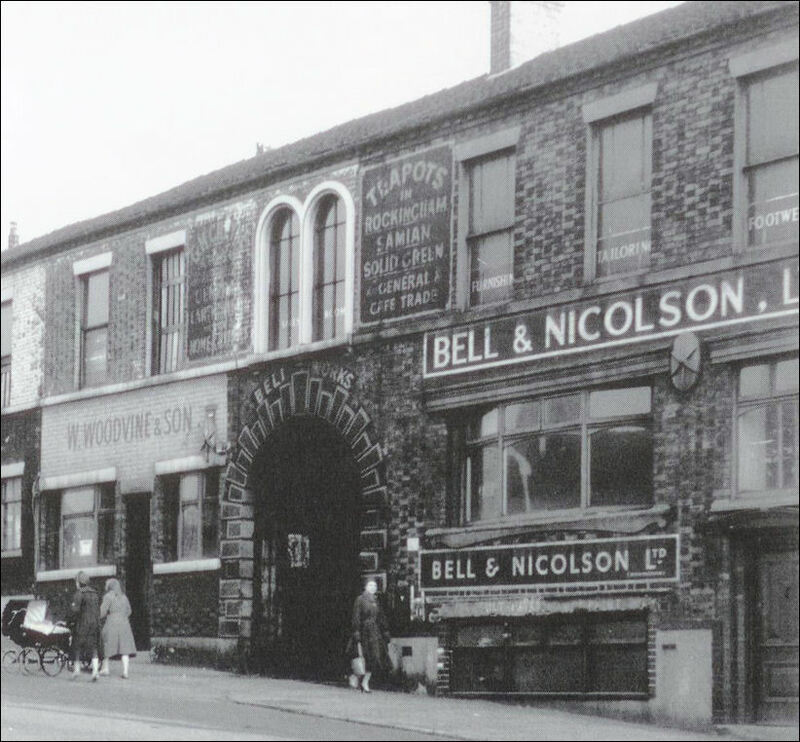 By 1922 the premises had been taken over by the Bell Pottery Company and by G. M. Creyke and Sons, both of whom were still working there in 1940. Only Creyke was recorded as still in operation by 1947. (Creyke in operation c. 1920-48). 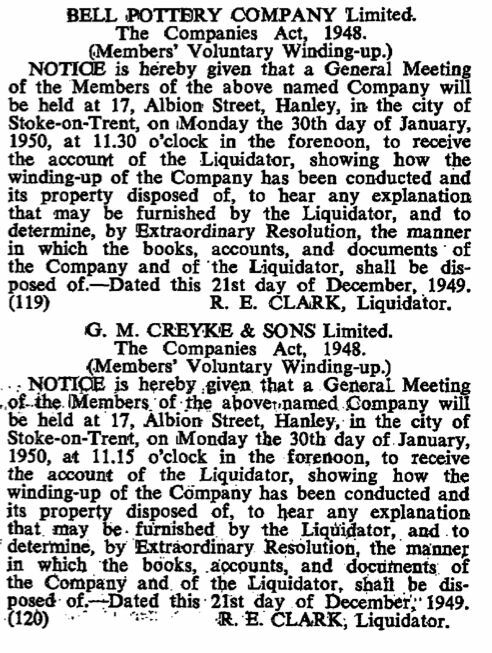 The Bell Pottery Company and G, M, Creyke were notified as liquidated in December 1949. "At that time the various kinds of Pottery with lead ore glaze, were made at a small manufactory, (which now is that belonging to Messrs. Ridgway, at the bottom of Albion Street, Shelton,) by Mr. Warner Edwards, whose secret partner was the Rev. 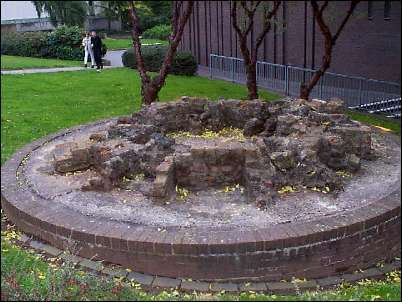 Thomas Middleton, the Minister of (Old) Hanley Chapel. Mr. Edwards's chemical ability exceeded that of all other persons in the district; for he could make the various kinds of Pottery then in demand, and prepare and apply the different colours, to ornament them. "Warner Edwards's Art of making Enamel Colours in a plain manner." On the blank sides of the leaves. Mr. T. D. wrote, from Mr. Edwards's dictation, the minute instructions and requisite information concerning the several processes, and components for preparing of the different colours; and the prices of the several chemical preparations and minerals, with the names of the persons in London, Manchester, and Liverpool, from whom they could be obtained of the best quality and at the lowest price. Thus the old gentleman rendered more useful to himself, the practical skill in the manipulations already acquired by Mr. D. while he rewarded in the best manner his industry and integrity. This Drawing Book, which we recently inspected, had been surreptitiously copied by some of the colour makers of the district, when it was recovered by the owner's son, Mr. H. Daniel, of Stoke, justly celebrated thro' the trade an Enameller of the greatest ability." 'History of the Staffordshire Potteries', published in 1829 by Simeon Shaw. In 1907 George Marshal Creyke operated as a 'metal mounter' in Marsh Street Hanley - he lived at Wetley Abbey, Cheddleton. 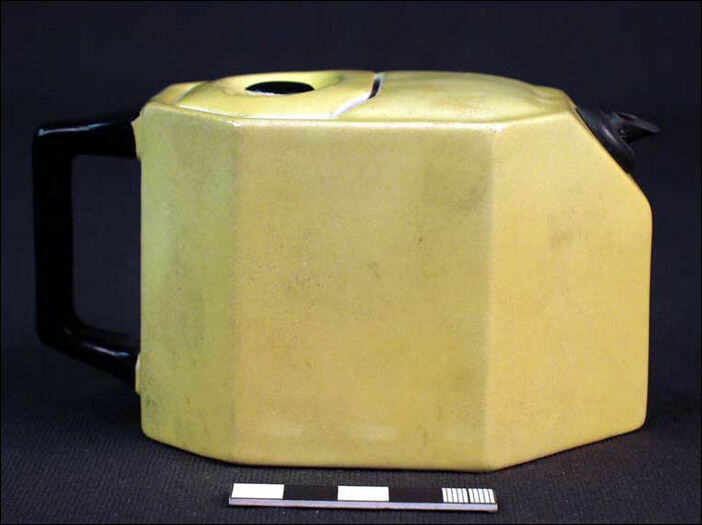 By 1920 he was manufacturing pottery at the Bell Works and used his expertise as a metal mounter to produce a teapot with a non-drip metal spout. 1922 Listed Exhibitor - British Industries Fair. Manufacturers of General Earthenware, including Toilet Sets, Tea Sets, Tea Ware, Jugs, Pudding Bowls; also Teapots and Hot-water Jugs in Samian, Rockingham and Solid Green. 1929 Listed Exhibitor - British Industries Fair. Manufacturers of Semi-porcelain Tea-sets, Dinner-sets, Jugs, Fruit-sets, Pudding Bowls, Butters, Mugs, Flowerpots, Vases, Sandwich-sets, etc. Rockingham, Samian, and Solid Green Teapots, Jugs, Sugars and Creams, and Stands. Metal Covered goods a speciality. 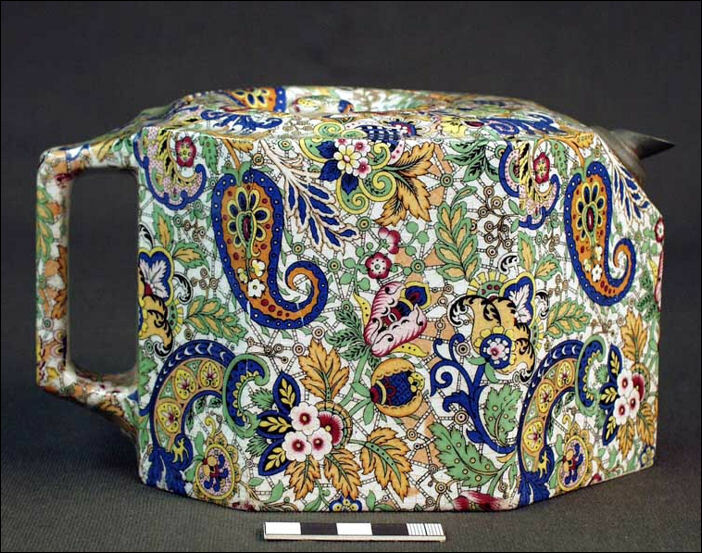 Creyke Patent earthenware teapot and cover; pointed polygonal shaped body, decorated all-over with a pattern of paisleys, leaves and flowers in a green, blue, yellow and pink pattern; distinctive shape with a tiny metal spout. 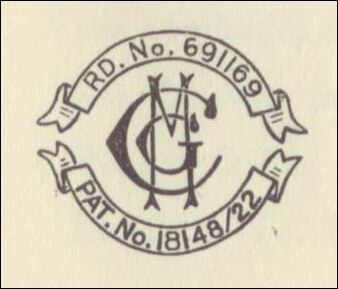 14 G. M. Creyke & Sons, Ltd.
16 Geo. L. Ashworth & Bros., Ltd. 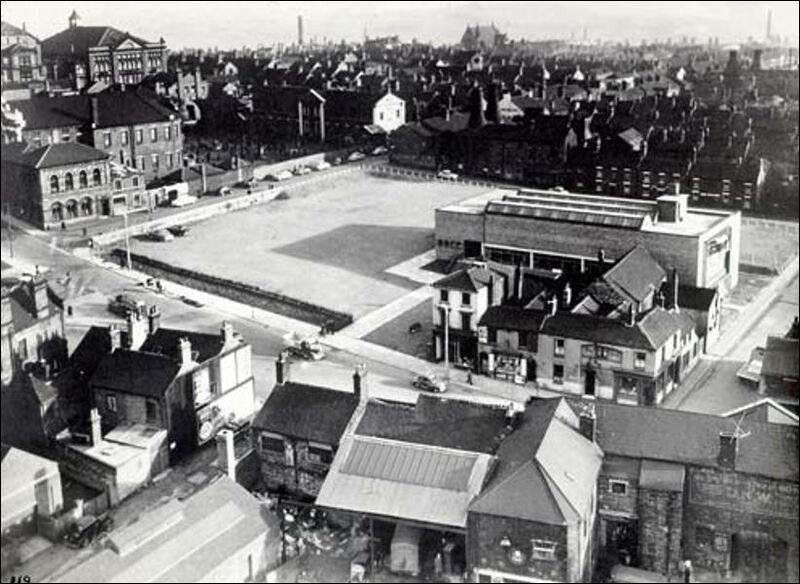 The City Museum & Art Gallery was officially opened by Alderman Horace Barks on the 13th October 1956. 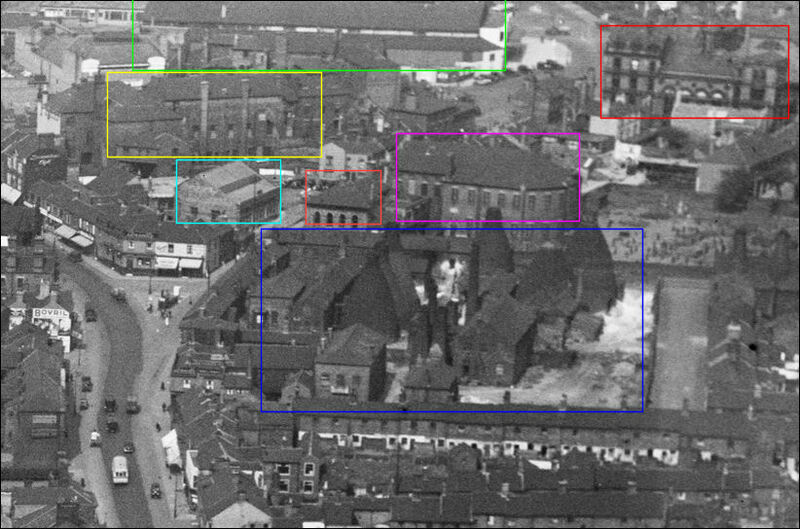 Built on the site of the Bell Pottery works, this image shows the area before additions were made to the building in the early 1980’s. 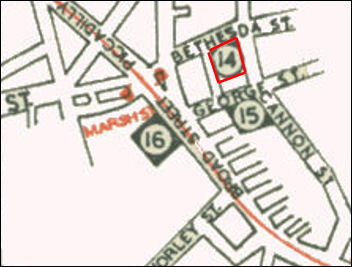 On the corner of Broad Street and George Street, now called Warner Street, is the Bell public house. In the top left of the picture is the old water rates office, Bethesda Chapel, Bethesda Sunday school and the Victoria Hall. 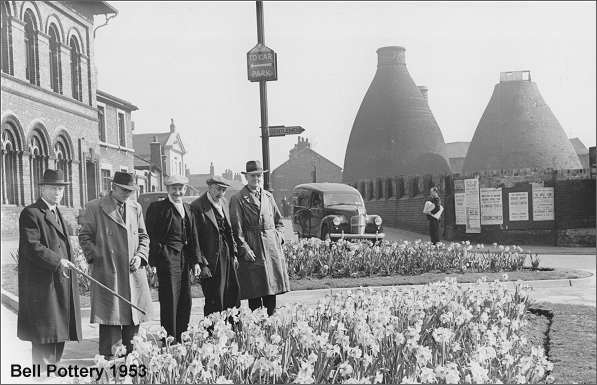 These buildings stand today outside the main entrance to The Potteries Museum and Art Gallery. Broad Street, Hanley (Established 1832). The potter's art being undeniably one of the most ancient, as well as one of the most useful crafts the world knows, our readers require little or no apology from us for introducing a series of articles on this subject in the present work, and among the many important houses devoted to the manufacture of earthenware in Hanley, the firm of Clementson Brothers, of the Phoenix and Bell Works, Broad Street, must be cited an a leading example. The business was established as far back as the year 1832 by the late Mr. Joseph Clementson,J.P., who was succeeded on his decease by his sons, and the business has been for many years energetically and successfully carried on by them, but Mr. Baxter -who is a grandson of the founder - still trading as "Clementson Brothers" has now succeeded to the business. The Phoenix and Bell Works are comprised in a substantially-erected two-storied building, with considerable frontages to both Broad Street, and Bethseda Street, and, in addition to tho office entrance, there are two archway entrances to the works, the general idea conveyed by the appearance of the whole structure being one of stability and importance. The firm manufacture almost entirely for the North and South American and West Indian markets, doing at the present day a very large trade with those sources, their productions comprising white, granite, mid printed goods, such as dinner, tea, and toilet ware, etc, and they are milking a special feature at the present time of printed toilet ware, and also printed and plain semi-porcelain ware, and, having lately added a valuable plant of modern machinery to this end, they are in a position to compete favourably with any other house in the Potteries in these particular goods. The Bell Works throughout are fitted with all the most modern and improved machinery und appliances; seven ovens - four of which are glost and three biscuit - are kept constantly going, together with the usual hardening-on and enamelling kilns, etc. ; the average number of hands employed by the firm being 275. Every attention is paid to sanitary matters throughout the works so as to ensure the health and comfort of the operatives, and the general relations existing between Messrs. Clementson Brothers and their numerous workpeople are of the most harmonious and satisfactory character. 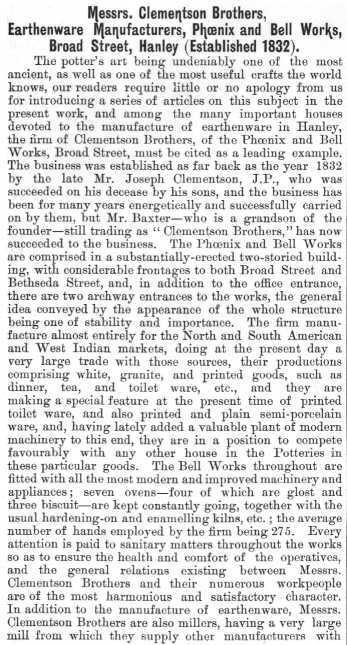 In addition to the manufacture of earthenware, Messrs. Clementson Brothers are also millers, having a very large mill from which they supply other manufacturers with.